E-Blox are a perfect example of a series that easily blends STEAM principles with toys and games. E-Blox are a perfect example of a series that easily blends STEAM principles with toys and games. E-Blox are a construction line that gives kids the power to build motors, light up creations, and even make their own radio. The “E” is for electrical circuitry that brings colorful plated blocks to life with a whirl, flash or sound. It also represents the “E” in STEM learning that’s a must for today’s iPhone generation. Parents will quickly note that these not-so-ordinary building blocks are compatible with what’s already home in the toy box! Each tin-plated block from the pARTS™ Line connects to a battery block, powering the electrical component blocks. E-Blox launches nine stimulating kits for kids as young as 8-years-old to build while picking up the basics of electricity and circuitry. Check out this tutorial video that shows how it all works! Choose the pARTS™ Starter Set ($32.99) or pARTS Plus Set ($43.99) which won the 2017 Creative Child Magazine Preferred Choice Award. The plated blocks used in the pARTS™ line allow kids to seamlessly integrate electronic circuitry without wires to bundle and hide. 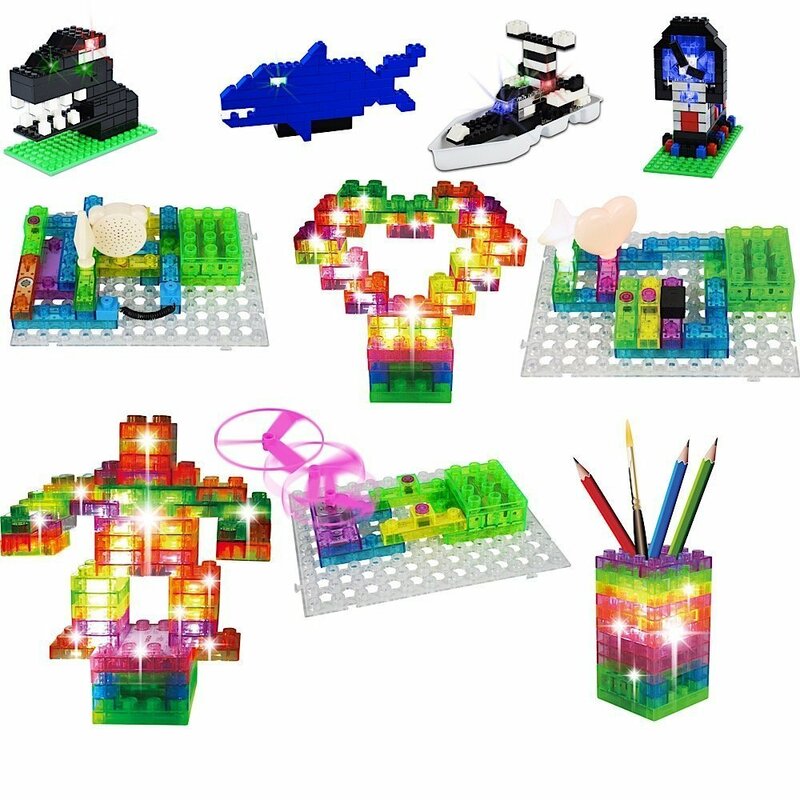 With more advanced kits like the pARTS Pro or Flashing Frenzy, elementary schoolers can build even more advanced circuits and structures that light up, flash and even change colors. 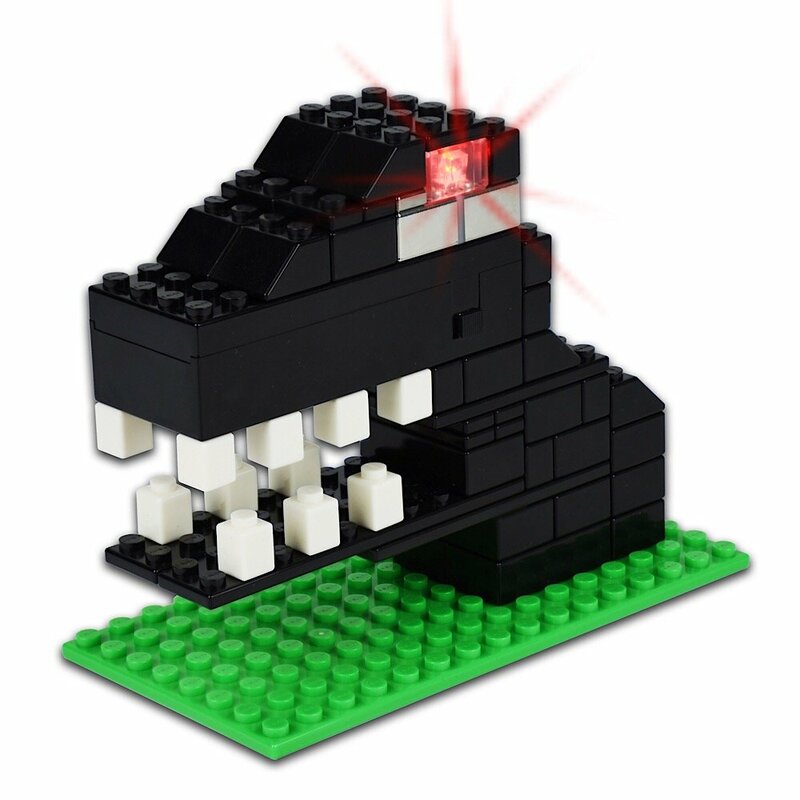 And E-Blox provides sample builds and instructions on their website to show you how to get started! Based in Buffalo Grove, Illinois, E-Blox was launched in 2016 by Art Seymour and his sons James and Joseph after more than ninety years of combined experience as entrepreneurs, inventors, and designers in the educational toys and wireless industries. Recently, Joe Seymour granted an exclusive interview where he discussed the family-run company and more. E-Blox launches nine stimulating kits for kids as young as 8-years-old to build while picking up the basics of electricity and circuitry. Meagan Meehan (MM): How did you initially get interested in toys and why did you decide to dive into toys that promote STEM topics? Joe Seymour (JS): Coming from a family of engineers and playing with soldering toy as a kid is where the interest began. Having three daughters of my own and many nieces and nephews I was always looking for gifts and ways to help the kids learn electronics without the dangers of soldering and have fun while learning. MM: How did you come up with the name E-Blox? JS: Originally Electronic Blocks was shortened into E-Blox. But all our products are also Educational and enhance your construction toy building fun. So now the “E” in E-Blox really stands for Electronic, Educational and Enhanced Fun! MM: Do you design all your own items and, if so, which have been the most complicated and which are the best-selling? JS: We design many of our own items and we are involved in the design and safety of all our product. The most complicated line is our pARTS line which took nearly seven years to perfect the design and get into production. The most successful has been our Circuit Builder. MM: What kinds of benefits do you think kids can get from playing with E-Bloxs? JS: Kids are learning while they are having fun. 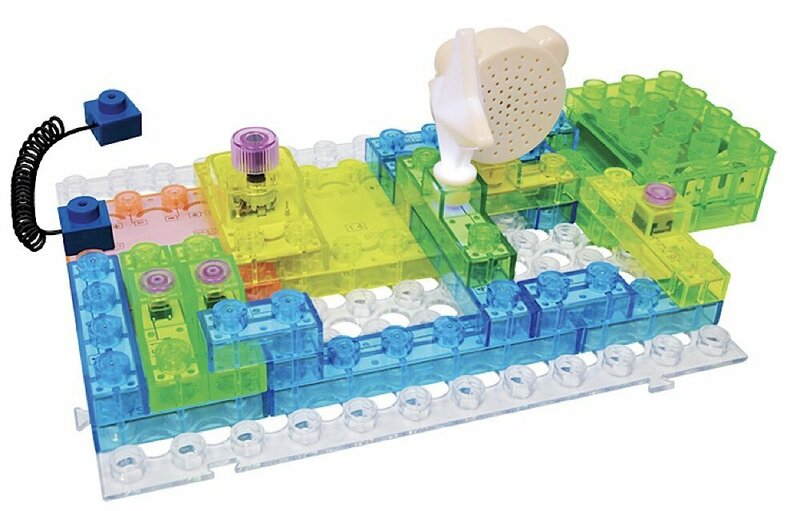 Kids love to create and use their imagination, E-Blox allows their creativity to be the focus while learning how to build a circuit is a byproduct. MM: What sorts of sets would you like to expand to in the near future? JS: All of our product lines have a long list of advancements and new experiences to come. We will be more than doubling our product offering just this year. Many of our new sets will continue along the same line as our current sets by adding new, cool components that provide new fun and educational experiences. But we’ll have some new product line surprises coming too! MM: What are the challenges of being a professional toy designer and business owner? JS: The biggest challenge is trying to keep a balance between the designs that I want to create and what children will find fun and creative. Sometimes we can get carried away and lose focus on what the consumer wants and will find fun and interesting. JS: This will sound cliché but educating and giving kids the encouragement and tools that they need so that they will want to pursue careers in engineering of all types. And to make E-Blox THE most Educational, Enhanced Fun, Electronic construction toy set of products in the toy industry. To learn more, visit the official E-Blox website. As kids build their own toys and games, they will start to notice how circuitry is all around them.